You would think that after the July my family had (visiting 6 National Parks in Alaska and Washington State) that we would be sick of National Parks. But if you thought that, you would be wrong…not to mention have no clue as to how my mind works. As long as we have our goal to visit 100 National Parks as a family by 2020 I will obsess over achieving that goal! Exactly 1 week ago I realized that this past weekend would be the last totally free weekend that we have as a family until Thanksgiving. This is because next weekend is the start of soccer season which in turn means we have zero time to travel. 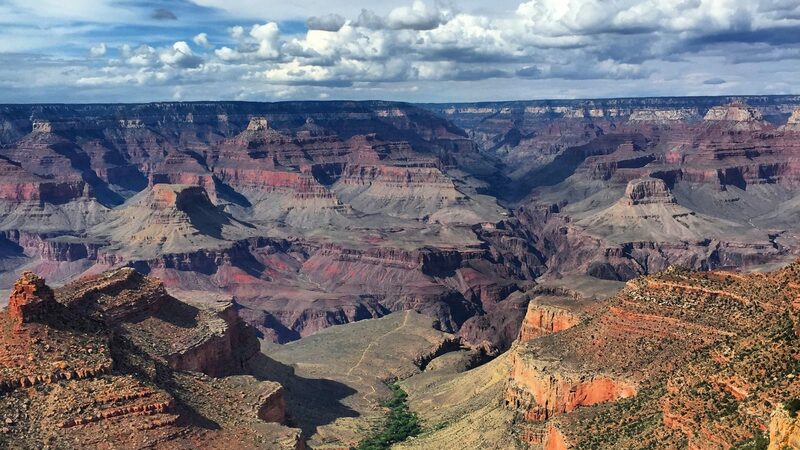 So what would a National park obsessed family do on our last free weekend of the summer? We drive 4 1/2 hours south to visit 2 more National Park units of course! 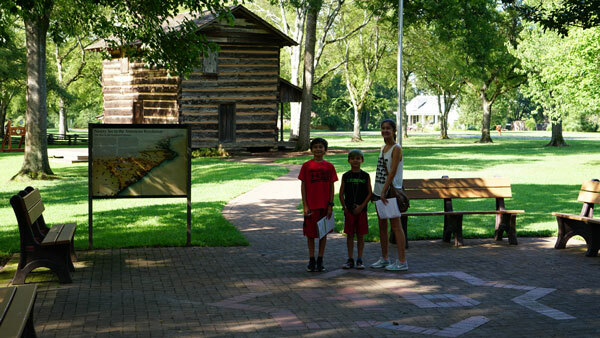 Ninety Six National Historic Site is the home of the 8 Point Star Fort! 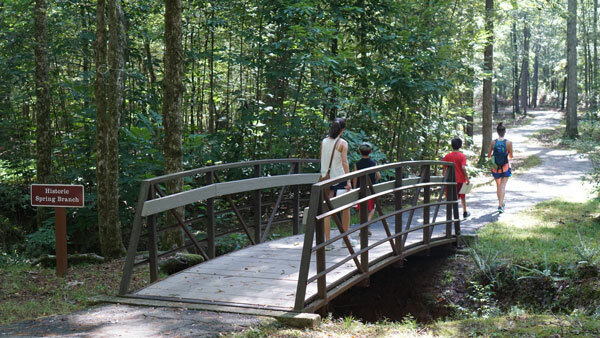 Ninety Six is a National Park site that my family has always heard about but never really knew anything about. 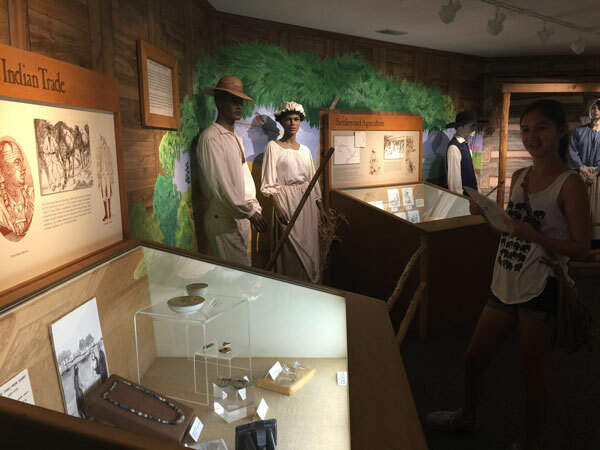 Last summer, when we visited Cowpens National Battlefield and Kings Mountain National Military Park, we heard a lot about Ninety Six but it was too far out of the way to make the trip. 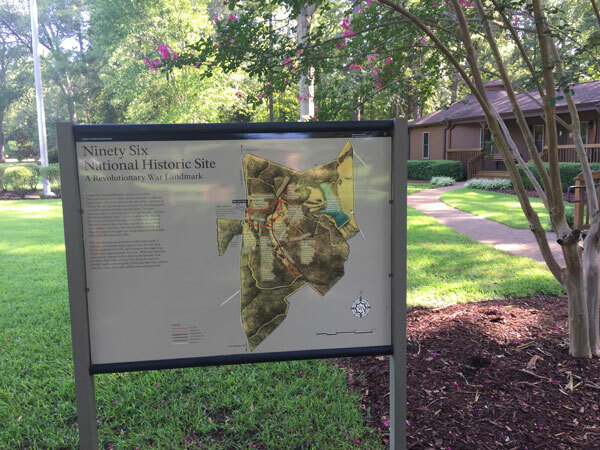 The name “Ninety Six” is also the name of the town, Ninety Six, South Carolina. In the 1700’s, Ninety Six was the commercial center of the western Carolinas. It got it’s name because the town was thought to be 96 miles from the nearest Cherokee settlement of Keowee. Keowee is roughly in the area where Clemson University currently stands. Interesting enough, it really is only about 70 miles away. 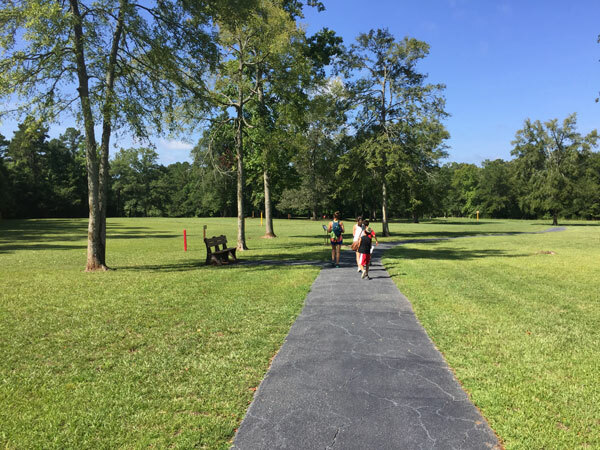 Ninety Six National Historic Site is a beautifully maintained site with paved trails and brickwork. The entrance to the park has many signs and displays educating visitors of the 2 battles that were fought here. One of the coolest things we saw is an outdoor Passport Stamp station in case you show up when the Visitor Center is closed. (The Visitor Center is closed on Mondays and Tuesdays FYI). 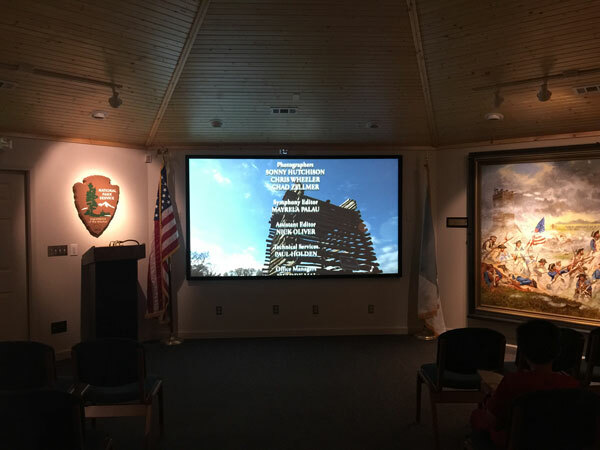 The Visitor Center has a small theatre that shows a short 20+ minute film. This film features the history around both Revolutionary War battles that were fought on this site. Both were significant. The first was the first Revolutionary War land battle fought in the South. 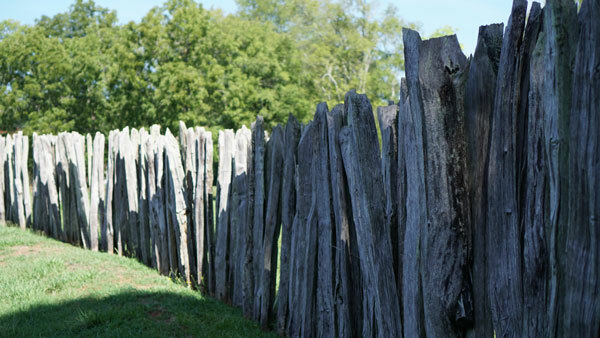 The second battle featured the building of a 8 Point Star Fort and a 28 day siege! 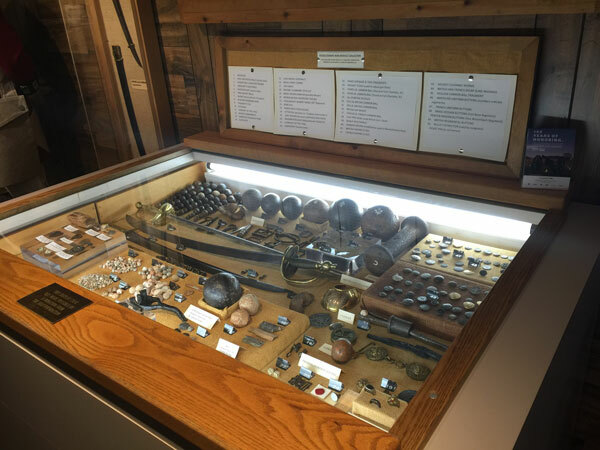 The Visitor Center also features a small museum that contains artifacts discovered in the various archeological efforts. It also has some creepy mannequins that I am convinced come to life at night and steal the souls of unsuspecting townspeople. There is a paved trail approximately 1 mile around. 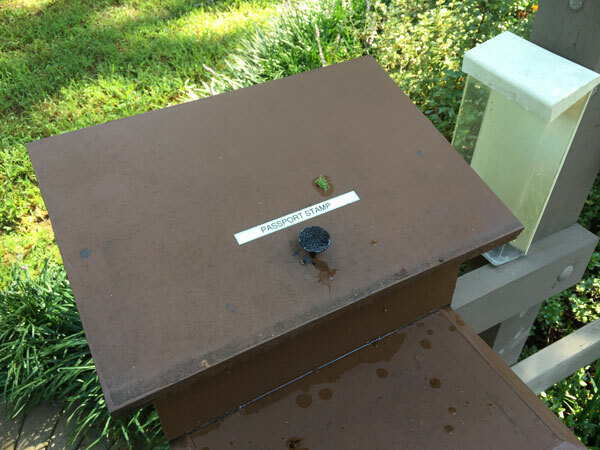 It starts off under the shade of tall loblolly pine trees. 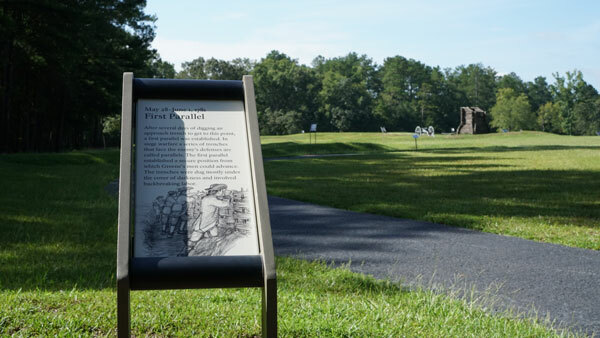 The trail leads to the battlefield site which is dotted with informative displays describing the stages of battle. 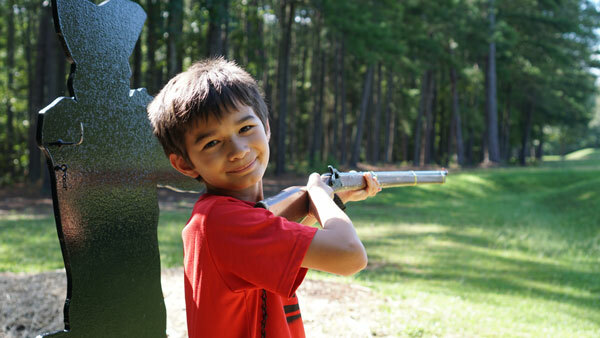 The trail also had replica rifles for the kids to try out and hold. The trail was a pleasant and leisurely walk. My daughter used the time to fill in her Junior Ranger book. The historic site also had markers to designate the corners of the old city limits. We grabbed a family portrait on one of the small bridges on the trail. My wife can never resist taking pictures of textures and details! I made sure to get our National Park Passports stamped! 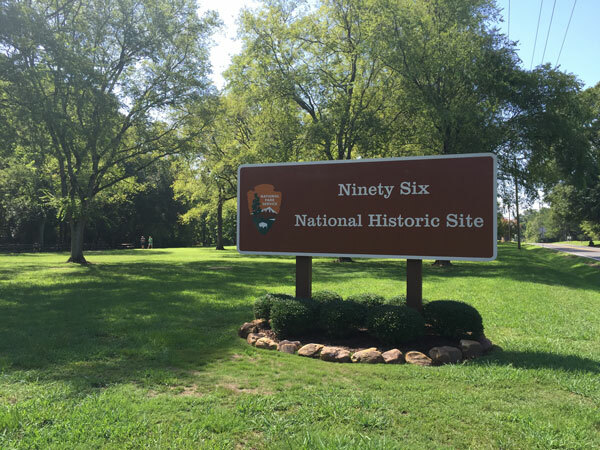 If you are in the Greenville, South Carolina area, I highly recommend you make a stop at Ninety Six National Historic Site! 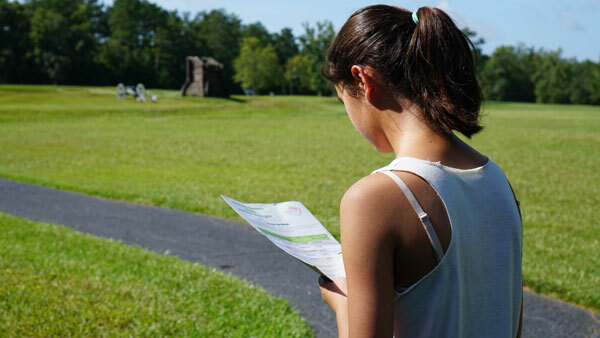 It is a well-maintained, walkable, and educational park site that recognizes a significant part of our history. This was our 72nd National Park unit visited as a family! Our next trip may not be until Thanksgiving! Thanks for reading about our National Park adventures! ⟵Adventure Beckons // Video of Our Pacific Northwest National Park Adventure!